Wetapungas are native to New Zealand. They are one of the largest insect species in the world, reaching lengths of up to 20cm. 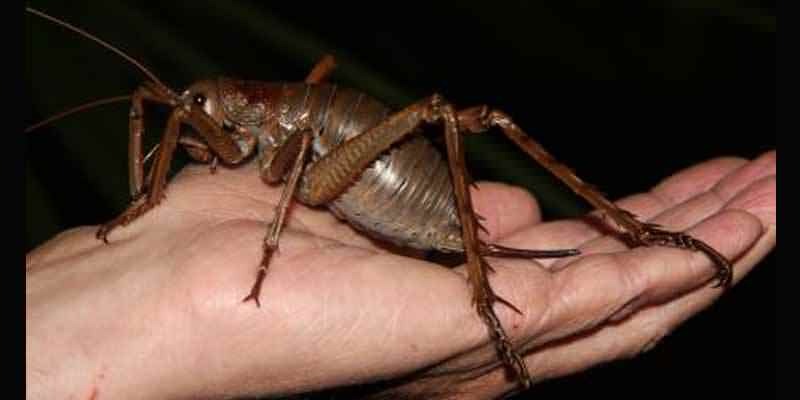 Despite the intimidating size, they are pretty much just giant crickets and their diet consists of exclusively vegetation. Absolutely not a threat to humans.